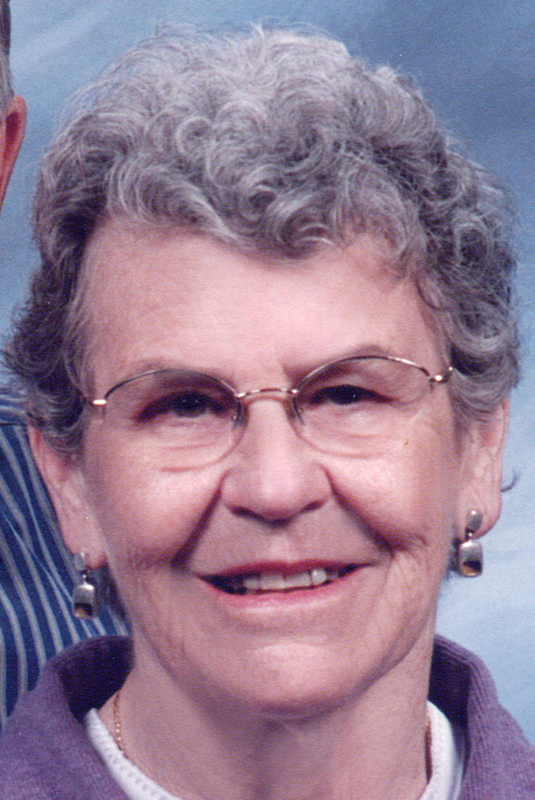 Janet A. Gordon, 87 of Cedar Springs, went to be with her Lord and Savior, while surrounded by family members on Sunday, December 7, 2014. Janet was born December 28, 1926 in Rockford, Michigan the daughter of Versal and Lorena (Blanchard) Gunnell. After graduating from Cedar Springs High School, she married her high school sweetheart, E. Ray Gordon on December 29, 1945. She enjoyed spending time with her family, traveling, painting, drawing and knitting. She was a member of the Cedar Springs United Methodist Church and Women’s Club. Surviving are her husband, Ellsworth Raymond Gordon; children, Susie (Ken) Parker, Doug Gordon, Pam (Tim) Covell, Joel (Janyth) Gordon; 16 grandchildren; 27 great grandchildren; brothers, Fred (Carollee) Gunnell, John (Mayda) Gunnell; sisters, Shirley (Charlie) Gumina, Nancy (Ed) Bremmer, Cam (John) Teusink; brothers-in-law, Murry (Eva) Gordon, Cliff Snyder; sister-in-law, Maxine Gordon; several nieces and nephews. She was preceded in death by a son, Tom Gordon; brother, Tom Gunnell; sister, Charlene at infancy; brothers and sisters-in-law, Ken Gordon, Don Gordon, Fay and Loraine Gordon, and Lillian Snyder. The family will receive friends Thursday from 2-4 and 6-8 pm at the Bliss-Witters & Pike Funeral Home, Cedar Springs. The service will be held Friday 11:00 am at the United Methodist Church, Cedar Springs. Pastor Steve Lindeman officiating. Interment Elmwood Cemetery. Memorial contributions may be made to the United Methodist Church, 140 S. Main St., Cedar Springs, MI 49319.